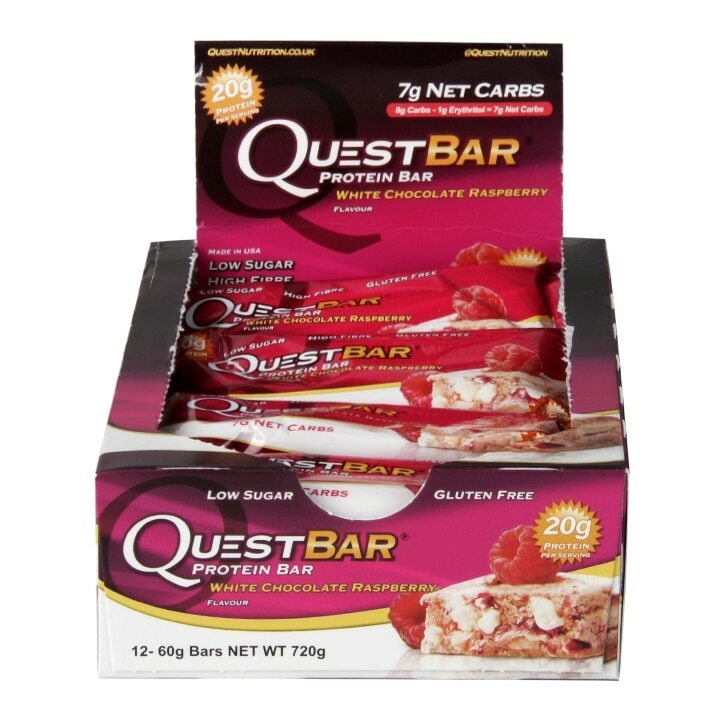 Quest Protein Bar White Chocolate Raspberry is rated 4.8 out of 5 by 5. Rated 5 out of 5 by kiki725 from Full of chunks One of the best things about Quest bars is they are full of flavour. The raspberry and white chocolate bar is by far my favourite. Its full of huge chunks of white chocolate which makes is more like a chocolate bar than most other protein bars. It is quite sweet so not good if your not a fan of super sweet things.